This ESB 45-Back R2-D2 Sensorscope is referred to as a Quality Assurance/Quality Control (QA/QC) sample. Carded figures of this nature are utilized for approval to determine if the final product meets specific criteria in terms of packaging quality, etc. 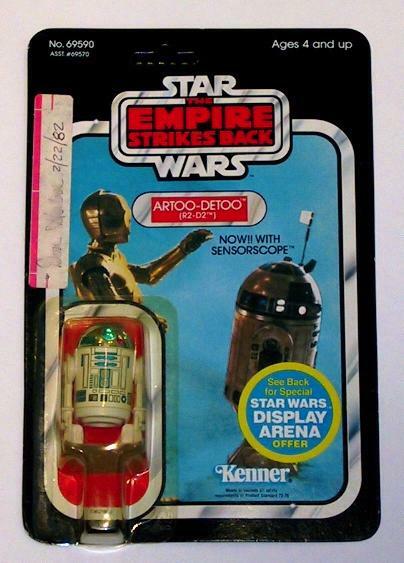 The card front contains a signature of the appropriate Kenner quality control engineer who signed off on this piece. The date of the sign-off is also present.